Welcome, foolish mortals... to the Haunted Mansion, where the crypt doors creak and the tombstones quake. 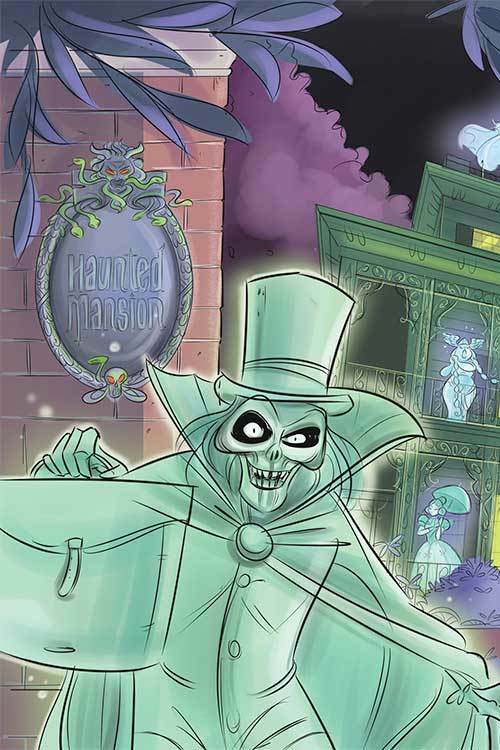 The happy haunts are getting ready to throw a swinging wake, and all the goblins and ghoulies are invited-so be sure to bring your death certificate! Advance solicited for September release! Featuring all of your favorite grim grinning ghosts! Celebrate the 50th anniversary of one of Disneyland's most beloved rides with this original graphic novel!